Food waste gets pickled in smartbins for 15 days after filling. Then the pickle is layered with compost from previous cycles (soil or cocopeat the first time) and left to cure in separate containers for 30 days. That’s it! No mixing, turning, insects, maggots, or bad ordour! Once your bin fills (about a month), set it aside for pickling for a minimum of 2 weeks. In the mean time use the next one (hence they come in sets of 2, 3, 4). Harvest your smartbrew and give them to your plants, or clean your toilets or unclog your drains with them. Line a basket or any other container with newspaper. Place a plastic sheet on the paper. Seal the container with newspaper and cover with a piece of cloth. Set it aside for 3 – 6 weeks away from sun and rain. After a month the pickle turns to compost and will smell like fresh earth after the first rains! Set some of it aside for the next layering and use the rest for your plants! Terracotta Pots, Bamboo Baskets, Plastic Laundry Baskets, Plastic Drums Etc. Over 100 screenshots of customer posts on our support forum on Facebook. Check out the “smartbin effect” in their plants. Click on the right or left of the pictures to scroll. Click on the middle of the image to play slideshow. How much money are you throwing away with your food waste? One of our customers sent us this calculation. It was shocking for us too! So shocking in fact, that we decided to feature it here! Read on! A family of 4 generates about 6 – 10 kgs of high grade compost per month through their smartbin. Weʼll consider 8 kgs per month for our calculations. Good quality compost, rose mix etc. sells anywhere from Rs 25 to Rs 120 for a 1 kg packet. Weʼll consider Rs 40/- per kg. 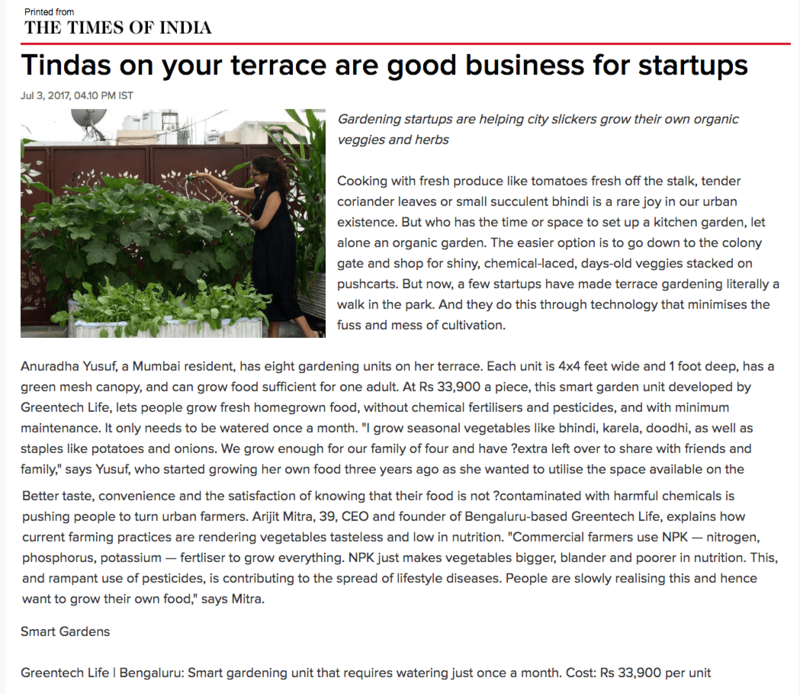 So with an average of 8 kgs per month @ Rs 40 per kg, youʼll be generating compost worth about Rs 320 per month! 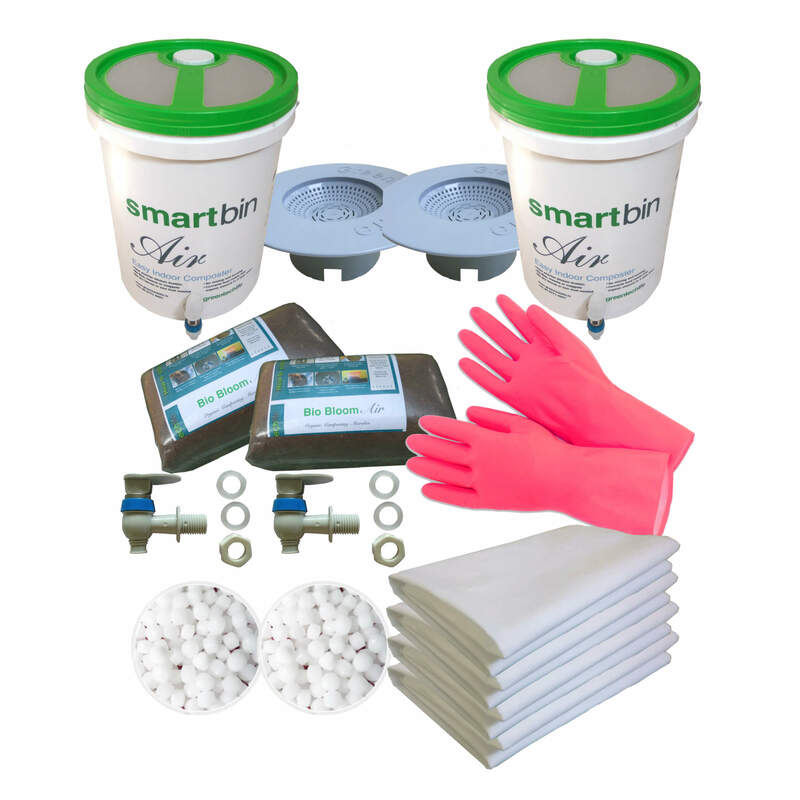 Using a smartbin also eliminates the need for dustbin liners or garbage bags. Thatʼs savings of another Rs 100 per month! Now subtract the Rs 82 an average family spends per month on bio bloom, you have a net gain of Rs 338/-. So what does that translate to per year? A whopping Rs 4056! 1. Works great in limited spaces! Live in an apartment? No problem! Smartbin replaces the kitchen’s dustbin. It’s the size of a 20 litre bucket and fits beautifully in the kitchen, or the utility area! Second stage happens in a container or a small blue drum, which sits neatly in a balcony, or basement garage or even the terrace! They don’t create a mess, do not attract any rodents, flies or maggots, and absolutely no smell thanks to the Bio Bloom microbes, making it the most easy and practical method of home composting! No mixing, no need for dry leaves or sawdust, sits right next to the kitchen sink – the place where food waste is generated in every family. Guess what that means for our busy customers! The simple chore of carrying waste outside is completely eliminated! Now when you add that chore up and multiply that for every day for the rest of one’s life, this feature suddenly starts to seem like a huge boon! No wonder this is one of the most popular features of the Smartbin! Don’t know how to compost? Find things like maintaining moisture, carbon-nitrogen ratio, temperature, too complicated? Smartbin doesn’t need you to do any of that! Not only is it easy to use, there is hardly any work, our videos, and lifetime free consultation makes it a breeze for first time composters to get it right the first time! We realize that at times a unique problem may arise for the first time, even if the user has been using the smartbin for years. Over 90% of our sales happen through user recommendation so it is as important to us, as our customers, that the smartbin operates flawlessly. Needless to say, we take “solving a users problems” very seriously. Once you buy a smartbin, you are automatically entitled to a lifetime of support from us. Just post your problem on our facebook support forum, and we’ll work with you to solve it! In fact join this forum right now! Food waste accounts for 60% of household waste! Smartbin allows our customers to keep that away from landfills with extreme ease. The internal satisfaction one gets due to this is difficult to put in words. Especially when one is conscious of their contribution to a clean environment for our kids and future generations. When one’s kitchen’s dustbin itself deals with the food waste, segregation of waste becomes easy and simple! All other bins in the house collect dry waste, the ones in the bathroom collect sanitary waste! No more dustbin liners needed and the savings offset the cost of Bio Bloom! They only need approximately Rs 80/- (for a family of 4) per month and when that is compared with the cost of dustbin liners, one actually ends up saving money. We haven’t even talked about the benefits to our environment by keeping all those plastic liners away from landfills. When we asked our customers “what made you buy from us?” (the same question we’ll ask you when you buy something from us too!) one response that kept coming up over and over again was this was an easy and convenient way to encourage new people to compost! People generally are skeptical about adopting green into their lives, but the smartbin makes it so easy for newbies and super busy urban folk, that they agree to give this a try, where they’d refuse to try anything else. Why is the smartbin environmentally smart? It prevents landfills, prevents groundwater and air pollution, saves water since the smartbin is washed only once after two weeks of filling up, and reduces plastic bags that go to landfills, since now they don’t need garbage bags or dustbin liners anymore! Wait, there’s more! The compost generated eliminates the use of chemical fertilizers, creates healthy organic food, and the liquid cleans up sewer systems! That makes the smartbin a killer of “environment degradation”! Aerobic composting generates CO2 or CH4 (methane which is a far worse greenhouse gas) if not managed properly. Managing properly means maintaining carbon nitrogen ratio by adding dry leaves or sawdust, adding oxygen to the pile by constantly turning it, maintaining moisture… which translates to a lot of work and commitment. Not with the Smartbin! Bio Bloom microbes convert the food waste to pickle and the carbon to amino acids thereby preserving all nutrients! Very often going green is a personal decision. People who choose to adopt green are not necessarily supported by their close ones… not always anyways. Our customers not only know the need to go green themselves, but also realize why it is important for majority of people to adopt green too. The smartbin being so easy to adopt, our customers found, when every other green initiative was either ignored, refused and at extremes, even ridiculed or made fun of, the smartbin was easily accepted by their family members. 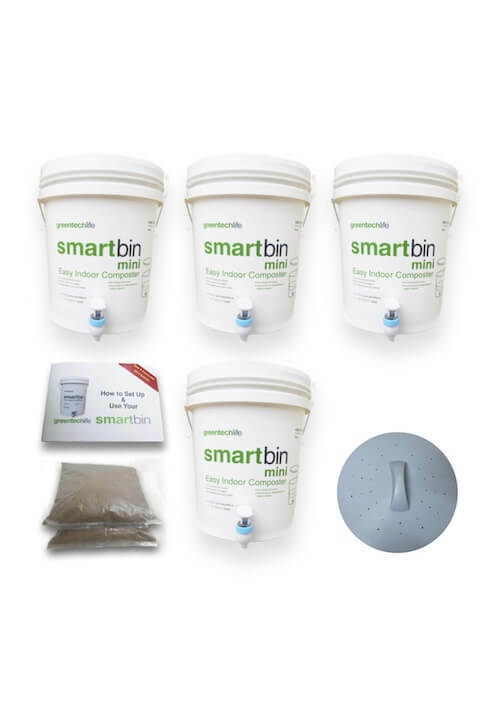 Many of our customers said that before using the Smartbins, when they came back from a holiday, their other composters smelled, or got infested with maggots. Not with the Smartbin! Smartbins are a very forgiving system! Quite a few of our customers said they switched over to the Smartbins for this very reason! Need we say more? How often have you heard that you need to ‘turn the pile’ every four days! With the Smartbin there is no need to mix anything… ever! Smartbins convert the carbon and the nitrogen already present in food waste into beneficial amino acids. Other forms of composting lose that carbon in the form of carbon dioxide (when there is enough oxygen which is introduced through constant mixing) or in the form of methane when there is isn’t enough oxygen – both greenhouse gases! Hence that carbon has to be added in the form of dry leaves or sawdust. Customers living in cities know gathering dry leaves or sawdust is not an easy task and can not be easily sustained in the long run. So what does this translate to for our customers? No headache of gathering or storing, dry leaves or sawdust, which can be a pain with space constraints and especially during the monsoon and never having to turn the pile! 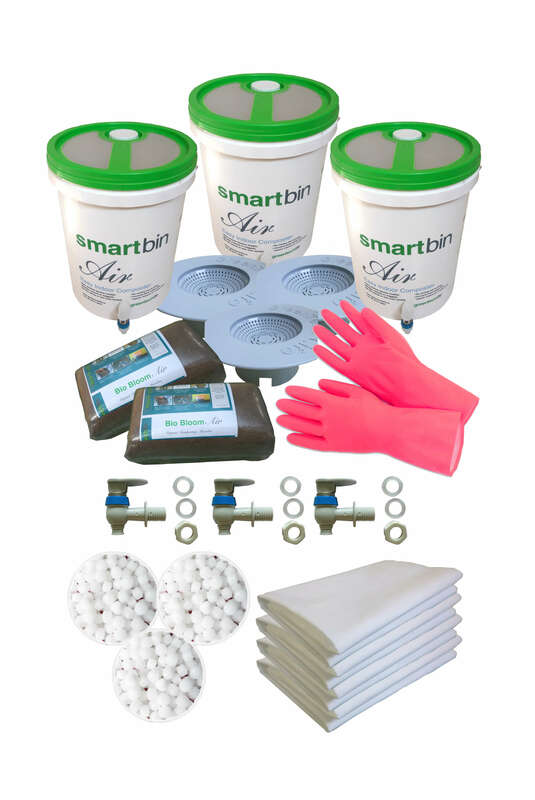 Smartbins offer the neatest, cleanest and easiest option for household composting. Every other form of composting attracts insects, pests, (and of course the dreaded and grossly misunderstood maggots). Then there are rodents, who in turn bring snakes! But not our Smartbins! No wonder our customers feel that the Smartbin is the smart choice! Food waste, especially cooked food is the cause of major problems. They rot, they smell, and attract disease causing pests and rodents. They make up 60% of household waste and generate polluting gases, and pollutes our ground water – the same water we very often end up drinking. Is it any mystery that most diseases today are lifestyle diseases? If you have heard of composting before, you would have heard of the long list of things you should not compost. (cooked food, non-veg, spicy, oily, dairy, acidic… makes you wonder what is the point of composting in the first place) Well not in the case of Smartbins! It handles everything! If it is food waste, no matter how tough, the Smartbin will make it eat dust! Errr.. turn it to dust. Literally! Did I mention, our customers feel the Smartbin is the smart choice? The reason our customers feel so confident about showing off their smartbins, recommending others, and keeping them right next to their kitchen sinks, is it does not smell! It might be hard for someone new to this to grasp, but smartbins sometimes take months to fill. This means, it has food waste which is months old, and our powerful microbes do not let it smell at all. The Bio Bloom microbes convert the food waste to pickle instead of letting it rot. Smartbins make a lot of compost. Simply because it composts everything. Not just that, the compost along with the liquid is complete nutrition for plants! Now you can finally have that wonderful flower garden you have been thinking about or better yet start growing some fresh organic veggies! Customers who generate more than they need, give it to friends! Now compost, in stores cost about Rs 25 a kg and packets of rose mix cost Rs 100 a kg. 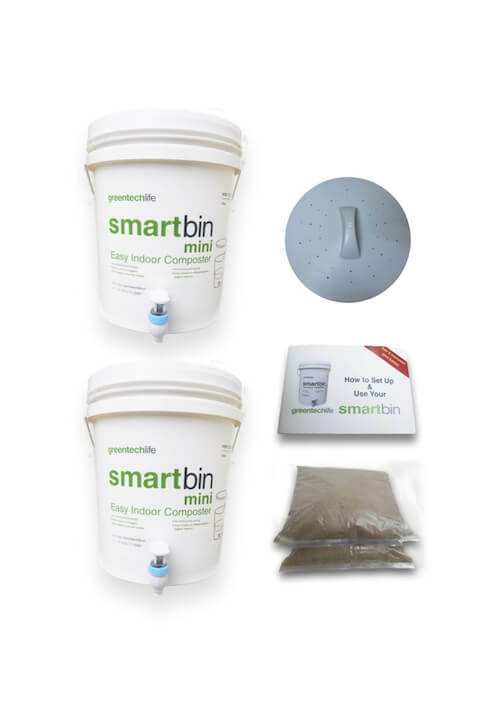 Smartbin compost is of far better quality as mentioned above. Needless to say, their friends are very happy! Smartbin generates at least 6-10 kgs of really high grade compost a month for a nuclear family, so when our customers do the math, it becomes an obvious choice. See “Why smartbin is a smart investment” here..
Duh! It’s a composter after all. Well, it really is! The compost generated by a Smartbin does not need sieving, and can be used directly as a planting media. The particle sizes are extremely small and granular, just like soil particles and gets completely broken down. It is balanced, because of the variety of raw materials it gets from a household kitchen. And it is teeming with beneficial microbes. 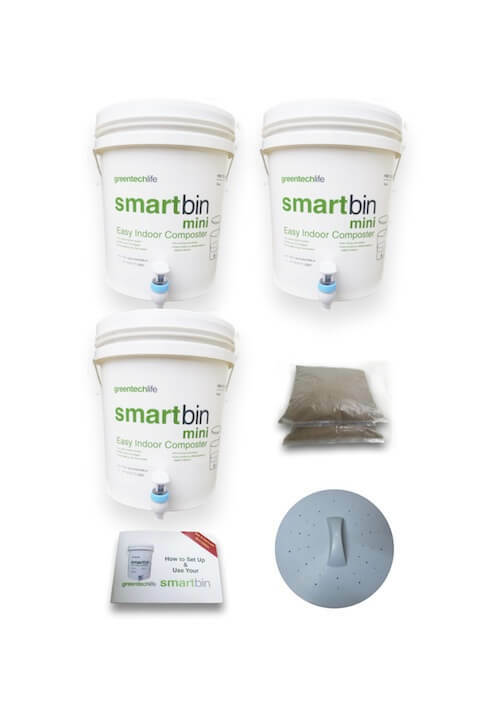 Smartbin compost along with the liquids is all the nutrition your plants will ever need! 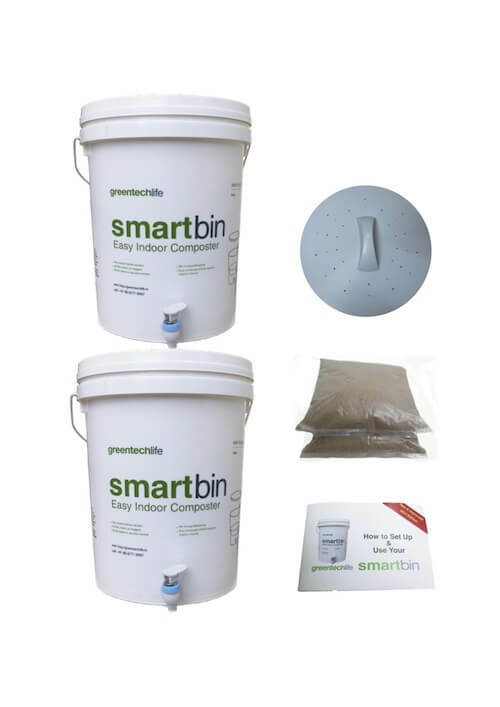 The liquid that is drained out from smartbins not only unclog kitchen pipes by eating away the grime that clogs pipes, but is also an excellent liquid fertilizer. Let’s face it clogged kitchen pipes can be a source of a lot of headache. Some customers specifically called us just to say that for years their drain pipes were getting clogged and since they started using the smartbins, the problem miraculously disappeared! The microbes also fight with pathogenic microbes in the sewage system, so if every family is draining the liquid every 3 – 4 days, our sewage systems, lakes and water bodies will automatically start to get cleaner. That’s not all. Whoever has used the smartbrew as a fertilizer has seen immediate benefits in their plants’ growth only within a week of applying it. Expensive plants that never flowered before actually started flowering! Having trouble getting your favorite plants to flower and yield? Ever bought compost at a departmental store? Ever bought fertilizer, rose mix, growth promoters etc.? Next time you are at a store, check out the prices on those things! The smartbin compost combined with the liquid is all you’ll ever need to provide your plants with a balanced and complete nutrition! From germination, to water holding capacity all the way to yield, our customers find smartbins are a boon to those who are looking for an awesome planting medium / potting mix be it for growing flowers or growing organic vegetables. 20. With smartbins, you don’t spend money, you save money instead! 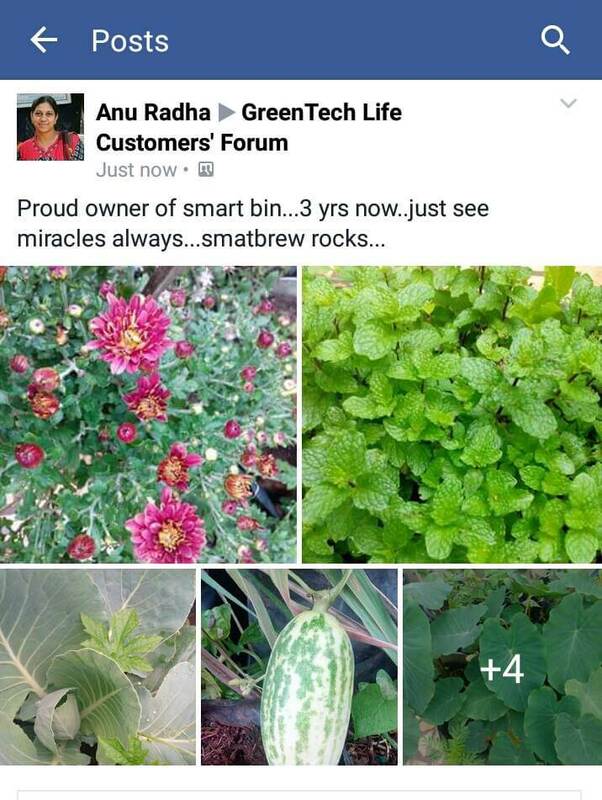 Since smartbins take care of food waste, dry waste does not require plastic liners, and sanitary waste can be easily wrapped in newspapers, our customers save on dustbin liners, or garbage bags upwards of Rs 100 a month. While on the other hand, Bio Bloom microbes only cost about Rs 85 a month for a nuclear family. So they actually end up saving money, just by switching to the smartbins. Not to mention the value of the compost and the smartbrew!